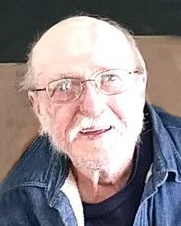 Obituary for Neal L. Werner | Peterson Kraemer Funeral Homes & Crematory Inc.
Neal L. Werner, 77, Edgar, died Sunday, February 10, 2019 at Marshfield Medical Center. He was born March 24, 1941 in Town of Wien, son of the late Louis and Nora (Fredricks) Werner. On June 30, 1962 he married Donna Ott at St. John Lutheran Church, Town of Wien. She survives. He worked as a farmer and drove school bus in Edgar for 40 years. He also owned a small engine repair shop and drove gravel and cement truck. Neal enjoyed polka music, fishing, watching the birds and was an avid reader. He also enjoyed gardening and loved his dogs. In his younger years he enjoyed bowling and playing dart ball. Survivors include his wife, Donna; children, Kathy (Larry Reddy) Werner, Mike Werner, Ken Werner, Kris (Darrell) Belanger, James Werner and Amy (Rob) Anderson; seven grandchildren, one great-grandson; nephews, Rodney and Jeff Pevytoe. Besides his parents he was preceded in death by two brothers, William Pevytoe and LaVerne Werner.